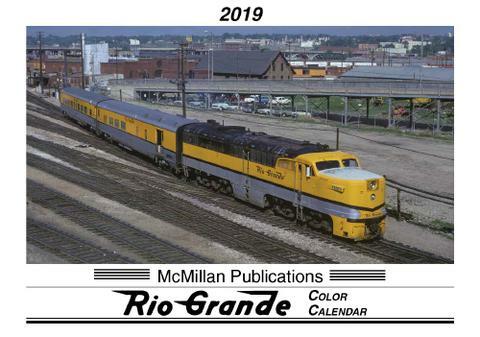 The 2019 Rio Grande Calendar features 13 large views of Rio Grande standard gauge trains; one scene to a month: January 2019 through January 2020. The calendar opens to an eye-catching 14 x 19-1/2 inches. The calendar grid features number blocks suitable for note taking.